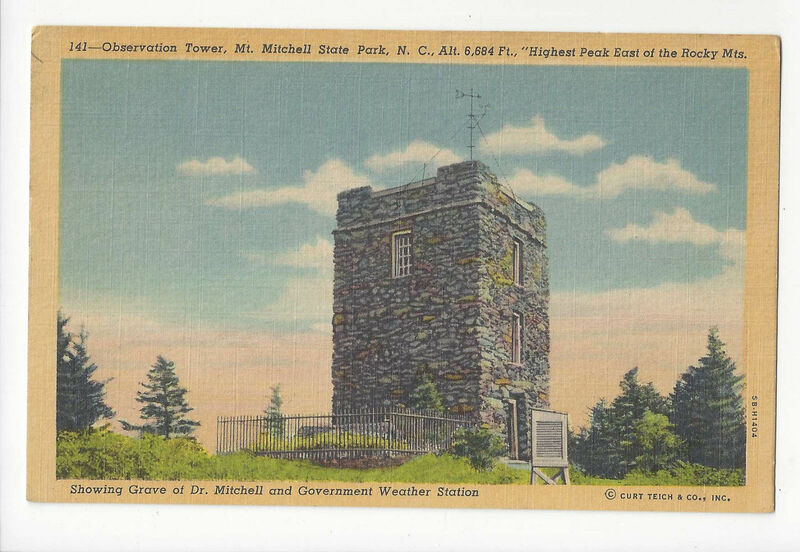 Vintage North Carolina Postcard Title: Observation Tower Mt. Mitchell State Park N.C. Showing Grave of Dr. Mitchell and Government Weather Station Era/Style: Linen Artist/Photographer: Publisher: Harry N. Martin Asheville NC Printer: Curteich C. T. Art Colortone 5B-H1404 (1945) Postally used: No Postmark: Recipient: Condition: Very Good Please study scans carefully for condition **************************************BR 88 312 H Powered by eBay Turbo Lister The free listing tool. List your items fast and easy and manage your active items.